Looking from some fun sights to see this summer without having to venture across the pond (Atlantic Ocean)? Rebecca Miller of Library Journal magazine recently shared with Larry Bleiberg of USA TODAY her top 10 favorite libraries to visit. These sights may not be Buckingham Palace or Musée du Louvre, but they are the crème de la crème of libraries. Here is a small sample of some of the libraries on that list. When you think public libraries, you probably have the Schwarzman Building in mind. 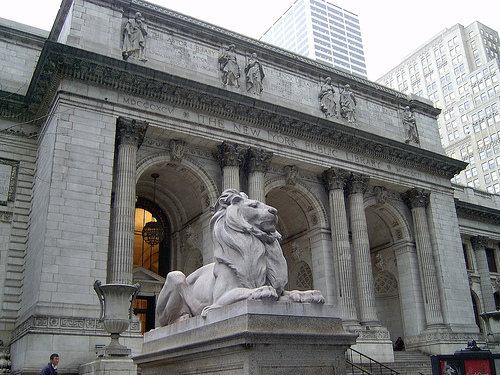 Located on Fifth Avenue at the intersection of 42nd Street, the “Main Branch” of the the New York Public Library is home to the famous Rose Main Reading Room, and has been featured in many movies and television shows. Most notably, you may remember the library from a Seinfeld Season 3 episode titled “The Library,” or from the 1984 classic, Ghostbusters. If interested in learning more neat facts (a.k.a. secret hiding places) about the NYPL, see Faculty Services Librarian Pam Brannon (who used to work at NYPL). You can’t talk about great libraries without mentioning the nation’s library, the Library of Congress. The Library of Congress is the official research library of the United States Congress. Although the library encompasses several buildings, none are more recognizable than the Thomas Jefferson Building. The Thomas Jefferson Building houses the Main Reading Room, which was featured in the Disney movie National Treasure: Book of Secrets. Daily hour-long tours highlight the history of the building, its art and architecture, and some of its special collections. So next time you are in D.C., take a break from the heat and enjoy a tourist attraction that continues to serve a vital role in the United States government. If you happen to find yourself on the West Coast this summer, make a point of seeing the Seattle Central Library. The flagship library of the Seattle Public Library system, the Central Library has one of the most unique architectural designs ever utilized for a public library. Completed on May 23, 2004, the Central Library attracted more than 8,000 visitors a day in its first year alone. Talk about one popular public library. The Central Library has all you would want in a travel destination. Grab a cup of joe at the coffee shop on the third level and admire the public art displays throughout the building. Stay in touch with family through WiFi or one of the 400 public computers. Before you exit, don’t forget to pick your friends up a souvenir from the library’s retail shop. These are just a few options for you to explore this summer as you take a break from law school. So get out there and experience what libraries have to offer. 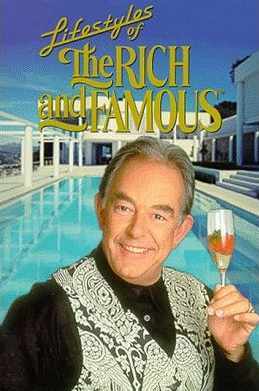 And remember, as Robin Leach always said, “champagne wishes and caviar dreams.” Enjoy your summer.